In most circles, whether they be private or professional, “bankruptcy” seems to have become a dirty word. Is it really an admission of weakness to file for bankruptcy? Oftentimes, this solution is criticized by people who have no idea of its ins and outs. It might be a great choice for some, depending on your case. But to know if it applies to you, it is important, when you find yourself in deep financial troubles, to consult with an expert who will be able to advise you and tell you about your options. Albert Gelman Inc. is such a party. When you have a consultation with one of its professionals, you will be taken care of like royalty. The senior advisor who will sit down with you – and review your situation in the detail to see what plan of action would be the most appropriate – belongs to a team of handpicked trustees and authorities in the field that will provide you with a quality service unlike any other. Because what truly sets that team apart from other companies offering financial help is that it has seen it all. 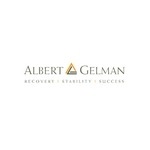 With close to 40 years of experience between them, the Albert Gelman pros will be able to study all alternatives, from debt settlement to bankruptcy, and guide you in picking the right choice. That is one of the reasons that explains how they came to be known as one of the best in Toronto, always available for their clients and committed to their success.